Exactly a week ago I had the some facet joint injections in my low back. I’ve had other lumber injections from epidurals to trigger point injections but never a facet joint injection which is used mainly if they think you have osteoarthritis in your facet joints. According to BUPA facet joint injections can help to diagnose and sometimes to treat neck and back pain that originates in your facet joints. Each of the vertebrae in your spine has a set of facet joints, which stabilise your back and allow your spine to move. Facet joint injections can confirm if your pain is coming from your facet joints and if you need further treatment such as radiofrequency denervation. It can also sometimes help to treat neck or back pain caused by inflammation of your facet joints. This can happen if the joints worn down by conditions such as osteoarthritis. This type of treatment is widely used for the treatment of chronic back pain due to Facet Joint disease. A Facet joint injection is not a cure for the cause of your pain, but it is used to help reduce the level of your pain. The injection contains a mixture of local anaesthetic and steroid. I had it done on the NHS at the Circle Nottingham in theatre and under x ray and could not have been happier with my treatment. As I haven’t had these before the nurse suggested I kept a diary of my pain ready for when they phone me back in six weeks to see how I have got on since the injections. One week on I have ‘NO‘ lumber pain whatsoever and have not had any of my strong pain killers (Tramadol) since last Thursday evening after the procedure as it seemed to stir things up. I cannot remember the last time I have felt this pain free in my lumber spine and hope it lasts and lasts. If you find them successful then you can have them done at intervals of four months. Iit could be one of many conditions from Fibromyalgia, Osteoarthritis, Arthritis or Rheumatoid Arthritis. But they are all treated differently. However, the sooner you seek treatment, if its rheumatoid arthritis, the better as over time chronic inflammation can cause erosions and weakness of the bones as well as the muscles, which could then lead to severe rheumatoid arthritis. Disc bulges/prolapsed/slipped are very common back complaints/injuries, but its no wonder with the amount of work they are put through. From the second cervical vertebrae right down to the sacrum, the bodies of adjacent vertebrae are separated by these discs. Each disc has a tough outer fibrous ring and an inner, soft, very elastic core. 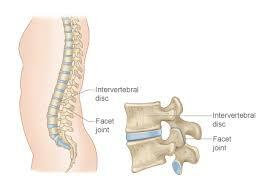 The discs cushion the vertebrae and permit movements of your spine while absorbing vertical shock. The inner jelly like core of the disc can absorb fluid and swell. However this is normally counteracted by the weight of the body pressing the discs between the vertebrae. At night while you are asleep the swelling process is not put under any pressure so the discs can then expand back to normal again. This explains why we are somewhat taller when we get up in the morning than we are towards the end of the day. The slipped disc is in fact a disc from which the jelly like content has bulged or escaped their normal boundaries (herniated or prolapsed) causing the disc to impinge on your ligaments and nerves. And, although herniated discs do not always cause problems, they can produce some painful symptoms. Looking after your discs is therefore very important and some contributing factors to slipped/prolapsed/herniated discs are often the result of bad posture and poor body mechanics during daily activities. Things like bending and lifting incorrectly can cause them as can an injury due to sports. As we age, the discs gradually lose water and become less springy so keeping fit and carrying less excess weight, is another important factor.